New England Science & Sailing Foundation (NESS) is an ocean adventure nonprofit that provides STEM-based education programs, on and off the water, for students from all walks of life. NESS uses sailing, marine science, powerboating, and adventure sports as teaching platforms. 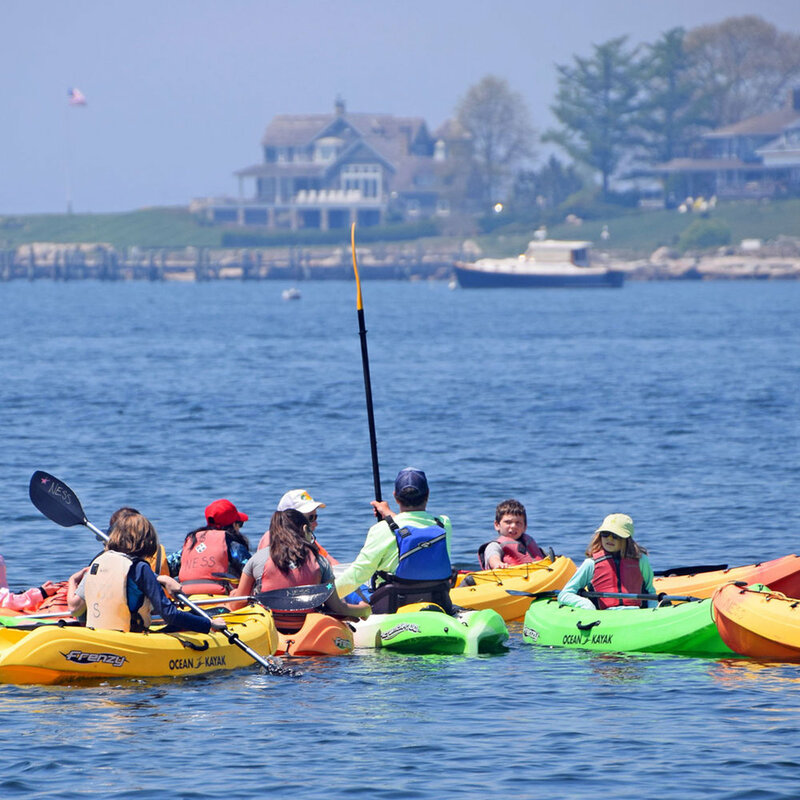 NESS operates year-round with families, schools, and organizations to provide high-quality programs that blend an innovative curriculum with exciting ocean adventure activities. They also offer summer camp, after school and homeschool programs. Helping neighbors become friends and helping friends work together, the COMO engages residents, businesses, and community groups in building a strong, vibrant community. The COMO offers a unique and wide variety of art and athletic programming for all ages including pottery, technology classes and life skills. Their sports programs include tennis and paddle tennis, basketball, soccer, fencing and exercise classes. They offer pre-school and summer camps for the kiddos and host several major events throughout the year, such as the Stars Over Stonington Gala and the Stonington Village Fair. The SVIA was formed in 1899 by a small group of caring residents wishing to maintain the Borough as "a nice place to live and work." Contributions by residents and non-residents alike allow the present day SVIA to maintain that tradition. Not only do they host and run the weekly Stonington Village Farmers Market, but they maintain duBois Beach at Stonington Point and Mathews Park, and host the Christmas Stroll every year - kicking off with the decoration and lighting of the tree at the Stonington Free Library. The SVIA continually supports special projects around the Borough such as the installation of Little Free Libraries, renovation of Cannon Square, maintenance of Wayland's Wharf and the restoration of the COMO Pond. Centrally located in the small Stonington Borough business district is the former residence of poet James Merrill, now owned and maintained by the SVIA. Merrill's apartment, largely intact, is home to our ongoing "Writer-in-Residence Program" sponsored in his memory by the SVIA.